It’s not Ireland. It’s not even scenic. But it’s much closer to home. 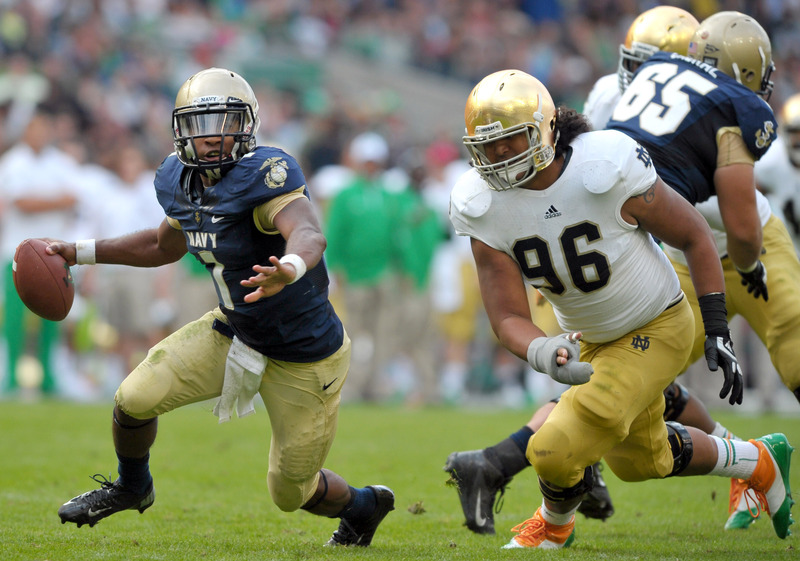 The Mids will host Navy at FedEx Field, home of the NFL’s Washington Redskins, on Nov. 1, 2014, the Naval Academy announced Thursday. It’ll be the first time Navy’s played at FedEx since defeating Army there in 2011, and the first time the Mids have met the Irish at FedEx since 1998, when they were on the wrong end of a 30-0 shutout. Next year’s game is set for Nov. 2 in South Bend, Ind. The 2014 Mids will have four games in NFL stadiums — two at Baltimore’s M&T Bank Stadium (Aug. 30 season-opener against Ohio State, Dec. 13 season-closer against Army), one at FedEx and one at Philadelphia’s Lincoln Financial Field, where they’ll visit Temple on Sept. 6. Those go with five games in Annapolis and road trips to Texas State, Air Force and South Alabama. The 2015 Mids will play in the Big East, with a league schedule to be determined. The conference’s basketball branch has all but exploded, and any shockwaves from those discussions — going on while the league tries to negotiate a television deal that’ll be in place when Navy joins — have yet to take shape. Our good friends at FBSchedules.com have the skeleton of the 2015 schedule here; you can link to other Navy schedules from their home page.